The author is a kidney and liver transplant surgeon. Nepal is these days witnessing a profusion of non-communicable diseases (NCDs) compared to the communicable diseases that were the most common until a few years ago. NCDs, including trauma, are now responsible for over 60 percent of all deaths. High blood pressure and diabetes are leading causes for heart, kidney, brain and eye ailments. According to one estimate of World Health Organization, 90 percent kidney failure patients in a developing country like Nepal die within a few months. Treatments for conditions like kidney failure and liver failures are generally so expensive that they are beyond the reach of most of our citizens. My dream to do something for kidney and liver failure patients started when I was working as a general surgeon in Lumibini Zonal Hospital in Butwal. There, in the late 1990s and early 2000s, I used to see youths in their 20s and 30s die because of kidney and liver failures. Nepal had no transplant facility at the time. Some who could afford to do so would go to India for treatment. I was lucky enough to get a scholarship to study in Scotland and train myself in transplant. While later working in Liver Unit of the Queen Elizabeth Hospital in Birmingham, UK, I got plenty of chances to transplant livers and save countless lives in the process. But since kidney failure was as common in Nepal, I also decided to get training in kidney transplant. After six years in the UK, in 2008, I resigned from the NHS training job and came back home to Nepal to serve the poor and needy people of my country. I joined Bir Hospital, which already had a four-bed kidney transplant unit, but which was at the time dysfunctional. Nepal’s kidney transplant history goes back to 1998 when at least two private hospitals had done kidney transplants. When I joined Bir, there was no dedicated operation theater and no dedicated team. I was made in-charge of kidney transplant unit but without a single junior or medic. Nonetheless, with the support from the Nephrology department, we were able to carry out some kidney transplants. Although the pace was slow—99 transplants in four years—our success rate of 99 percent was something we could all be proud of. Then, I was given the responsibility to establish a dedicated Human Organ Transplant Center (HOTC) in an empty 100-bed building in Bhaktapur. In this center, we have over four years performed 341 kidney transplants (around 150 kidney transplants a year), with 97 percent success rate. The center now provides 30,000 dialysis sessions every year with its 50 haemodialysis machines. We aim for 200 kidney transplants next year. There were many challenges to start with: lack of awareness about organ failure, hassles with organ donation and transplantation, lack of physical infrastructure and human resource, and high cost. To create awareness, we had to establish non-profit Aarogya Foundation with the support from national celebrities like Ani Choying Drolma (Chairperson), ‘MaHa’ Jodi, Kul Chandra Gautam, Kush Kumar Joshi, Sudarshan Pandey, Bimal Thapa and Nabina Shrestha. Aaarogya foundation not only led to greater awareness but also ensured a higher quality of service. Aarogya now runs the busiest dialysis facility in the country, free of cost for underprivileged citizens and at cheap rates for those who can pay. Aarogya and HOTC together organize awareness campaigns like free health camps and organ donation stalls, kidney walks, rallies and music concerts. This has helped improve awareness, to finalize Acts and regulations on transplant and organ donation, establishment of medical facilities and convincing the government to make dialysis and kidney transplant totally free. 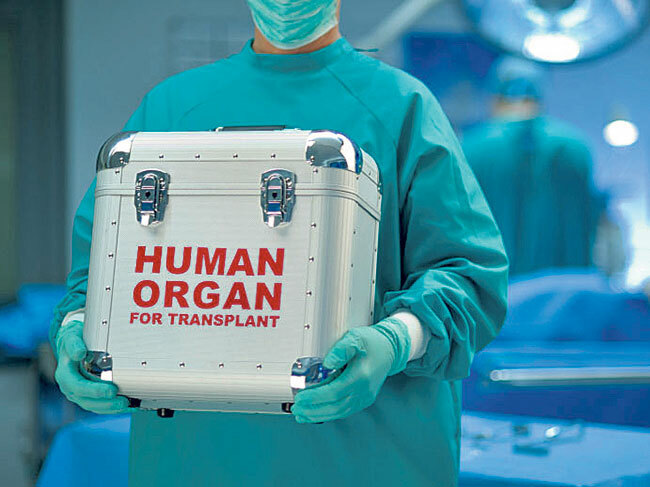 We got the Organ Transplant Regulations 2016, with the provisions for expanded live donor pool to all relatives, and facility for pair exchange and brain-dead donor transplant. We performed first ever liver transplant in the country and first ever brain death donor kidney transplant. We also started open heart surgery this year. Dialysis and kidney transplant service has been totally free, thanks in large part to former Prime Minister K P Oli (for making dialysis free) and former Health minister Gagan Thapa (for making kidney transplant free). The center has been saving Rs 6 billion rupees a year on kidney transplant and Rs 1 billion on liver transplant that Nepalis would otherwise have spent abroad. The center has already performed 15 kidney transplants on Indians and other nationals, and people from Pakistan and other countries are queuing for liver transplants. Foreign nationals seem happy with quality and cheap services at HOTC. This has clearly indicated the beginning of medical tourism in the field of transplantation. HOTC has been designated as national ‘co-ordination unit’ for brain-dead donor transplant in the country. For this any hospital which declares a brain death ‘MUST’ inform HOTC and the latter then counsel the relatives of brain-dead person for organ donation, retrieval, distribution and transplant. Organ failure patient from any hospital can receive organ/s if he or she is deemed the most suitable candidate. We are now working to expand organ transplant and dialysis facilities to different parts of the country, and to bring brain-dead donor kidney and liver transplant facilities within the reach of all Nepalis. For this we have requested the government to provide us more space for a training institute so that we can transfer our knowledge and skills to younger generations and so that we can expand our services for Nepalis and foreigners alike.